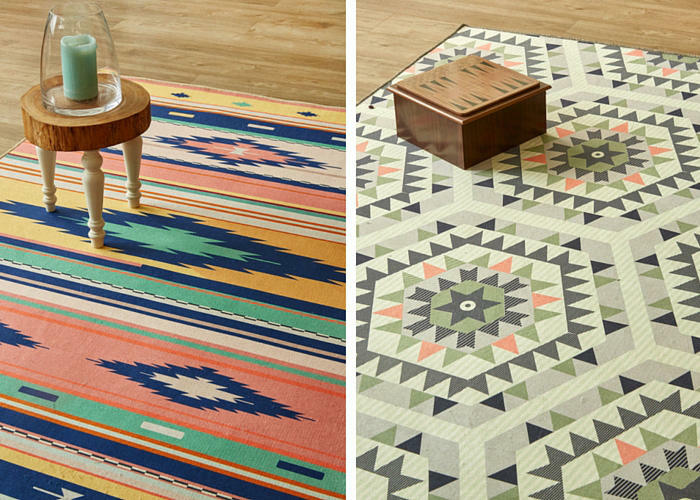 South Africa's Airloom rug collection will leave you spoilt for choice with a wide range of cotton, wool, woven, tufted and printed rugs. Brainchild of a husband and wife team, the idea of Airloom was formed when they went in search for a rug for their own home. They were looking for something that was beautiful, functional, and that didn’t break the bank. And so, out of many a fruitless rug shopping trip, the idea for Airloom was born. Designed and produced right here in South Africa, Airloom’s locally designed range is original and contemporary. Woven at the Nouwens Custom Weave mill in the foothills of the Drakensberg, Airloom’s local rug collection is created from a selection of the finest wools (80/20 wool/nylon blend). Airloom Flatweaves are predominantly made of natural cotton, most of which is reused in an environmentally friendly manner. By integrating the cotton with twisted cord, the flatweaves have a lovely feel under foot – aesthetically pleasing, but also rich in texture. With its finger on the pulse of world trends, Brink & Campman is a Dutch manufacturer specializing in producing high-quality rugs for over 100 years. Airloom is proud to have exclusive distribution rights to this prestigious brand within South Africa.